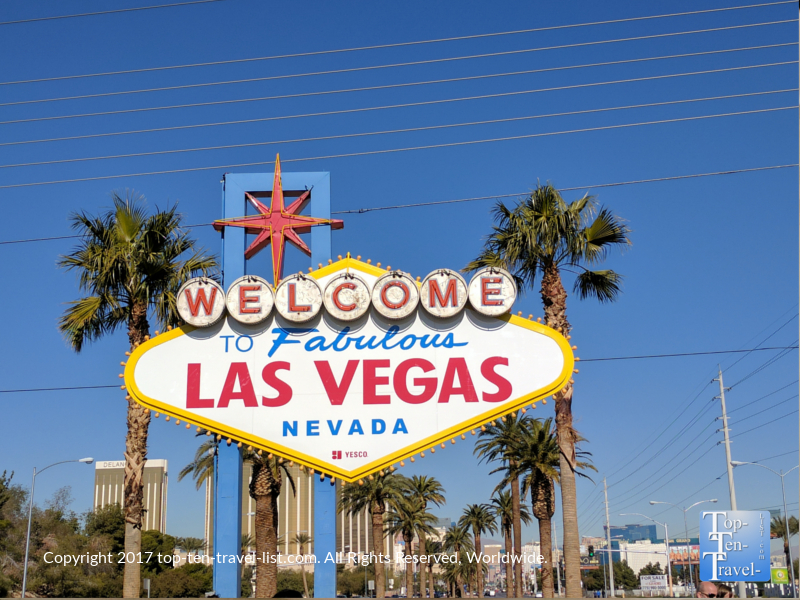 50+ Tips & Tricks for a Fabulous Las Vegas Vacation - Top Ten Travel Blog | Our experiences traveling throughout the US. For anyone who has visited Vegas anytime in the last few years, you are well aware that the city now offers a multitude of activities & entertainment for everyone and every budget, even those who choose not to gamble! It’s almost an overwhelming experience now with the shear number of options available everywhere, at every hour of the day. A trip to the Entertainment Capital of the World can be an overwhelming experience, or an exciting experience. It all comes down to proper planning! The Strip seems to become more and more crowded each year as families, couples who do not gamble, and young adults under 21 choose Vegas as their vacation destination. Really, there is no need to gamble anymore with top knotch shows, wonderful restaurants, world class spas, and endless attractions. Along with increased crowds & more activities comes more stress, especially without proper advance planning. As goes with any trip, researching ahead of time & budgeting are the keys to a fabulous vacation, especially with popular, high energy destinations like Vegas. After many, many visits to Sin City (too many to count), I have rounded up 50+ of my best tips for a memorable Vegas Vacation. Enjoy the list and enjoy your vacation! 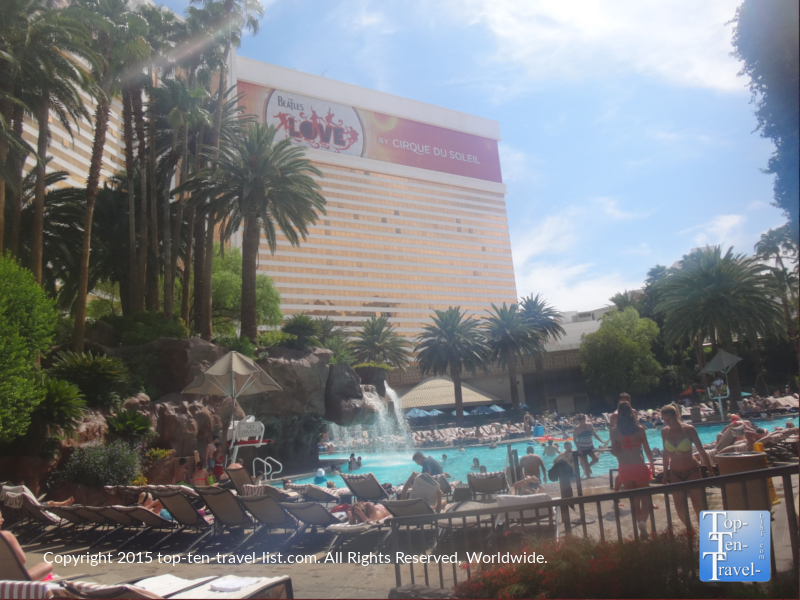 Summer is the best time to visit Vegas despite the crowds & intense heat. Can’t beat the Vegas pools and vacation atmosphere! 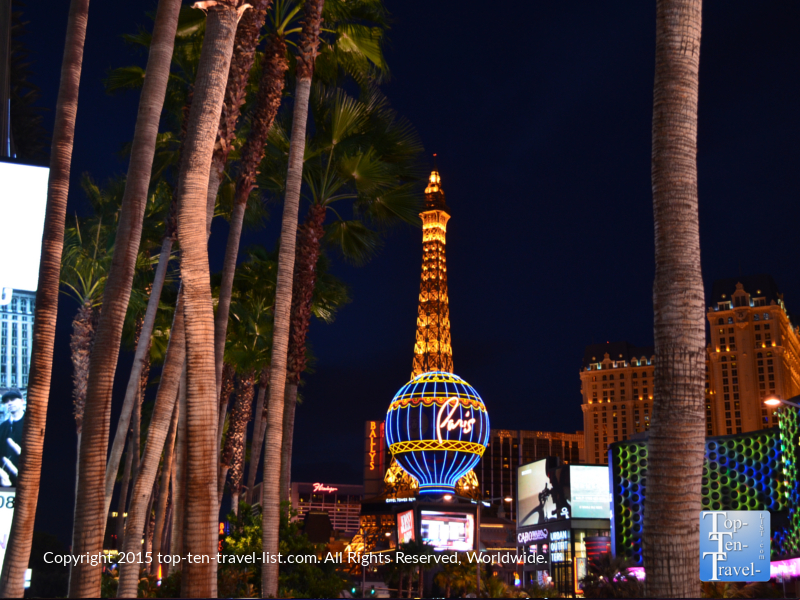 Typically, the winter season (minus holiday periods) is the best time to score a great hotel deal in Vegas. The other major benefit is cooler more enjoyable weather for strolling The Strip. Generally, winter is a less congested and more laid-back time to visit. However, you will need to keep in mind that many of the amenities Vegas is so famous for – like the fantastic pools- are closed for the season. Wearing a sweater and jeans also puts a bit of a damper on the vacation experience as palm trees, pools, and sunny warm weather just scream vacation, and thus, are the highlight of a Vegas vacation for most. Be aware of resort fees! 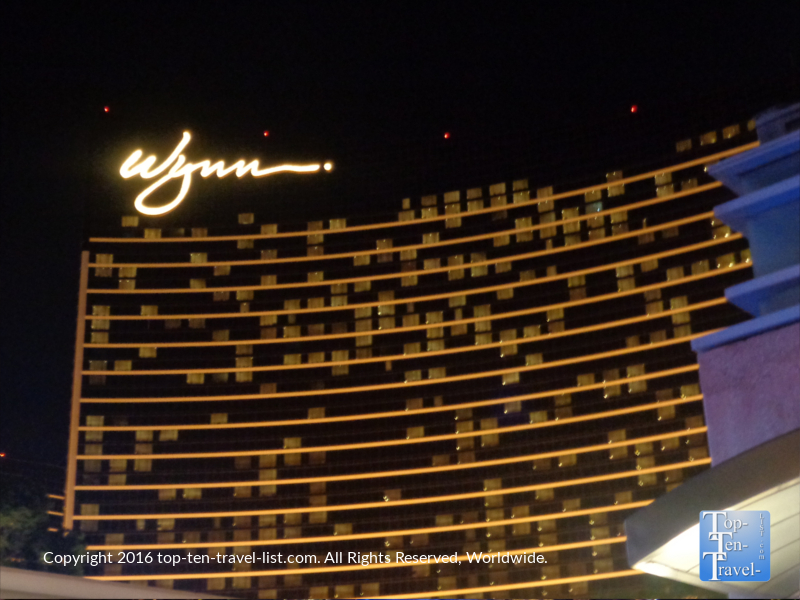 The Wynn, with a whopping $35 resort fee, is currently the highest on The Strip. Unfortunately, this resort fee only includes free wi-fi and 2 fitness center passes, making it a poor value. If you haven’t visited Vegas in a few years, you might be shocked at the hefty resort fees that nearly all the casinos charge now, even those off The Strip! Worst part of all is that the fees are not collected until check in, so you can easily be forced to pay hundreds of extra dollars in fees you were not expecting. Check the fine print when booking online! Fees can be as high as $35 at some of the more exclusive resorts like The Wynn. To avoid being totally surprised at check in, be sure to include resort fees in your travel budget. Only a few non Strip hotels still have no resort fee. Four Queens, Fremont Hotel Casino, M Resort, Las Vegas Marriott, Elara, Main Street Station, and Renaissance Las Vegas are a few of the hotels that currently do not charge – although this may change in the future! Unfortunately, most of the Strip casinos with the lowest resort fees (in the lower $20 range) are not very good – Circus, Circus, Hooters, and the Stratosphere, for example. In my opinion, staying at these resorts really is not worth the few extra dollars in savings. If you are willing to stay off The Strip, the South Point Hotel is a fantastic 4 star resort with a great pool, a shuttle to The Strip & airport, and one of the lowest resort fees ($21 a night). Not surprisingly, resorts off The Strip have the lowest resort fees. If you plan on spending most of your time outside of the resort & have a car or do not mind taking shuttles, this alternative may just work out for you. Be aware that Vegas gets cold (sometimes really cold) in the winter! Surprisingly, a hot tub comes in much more handy than a pool as soon as the fall months roll around. Most hotels close their pools anyways. 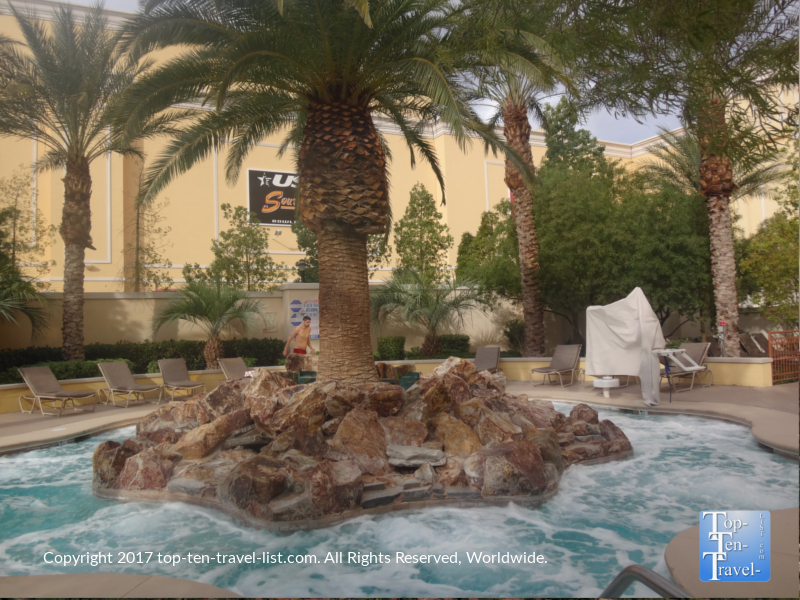 The South Pointe (a fabulous hotel off the Strip) offers one few year round hot tubs and it’s great on those chilly winter nights! Many tourists are unaware that Vegas temps can get pretty darn cold in the winter, especially at night. If you have only visited during the brutally hot summer months, this may come as a surprise. Day time temps typically stay in the 50-60 degree range, however, night temps often drop into the 30’s. So get rid of those flip flops and shorts and pack your sweaters and jackets! To put it into perspective, I had to wear my puff jacket just to walk around at night on a recent December visit! Crazy! If you are the type of person who likes warm weather, avoid a winter trip to Vegas! Unlike the Vegas weather stereotypes featured in the media (Where else can you wear shorts 24/7? – “Vegas Vacation”) it does get pretty darn cold here in the winter! Although snow is pretty rare (the city sees an average of about 1/2 an inch a year), there is always the rare chance of a snowstorm (in 2008, the area saw 8 inches!). Consider yourself lucky if you get to witness this rare event in the desert! Good planning, budgeting, and researching skills come in handy with any vacation. 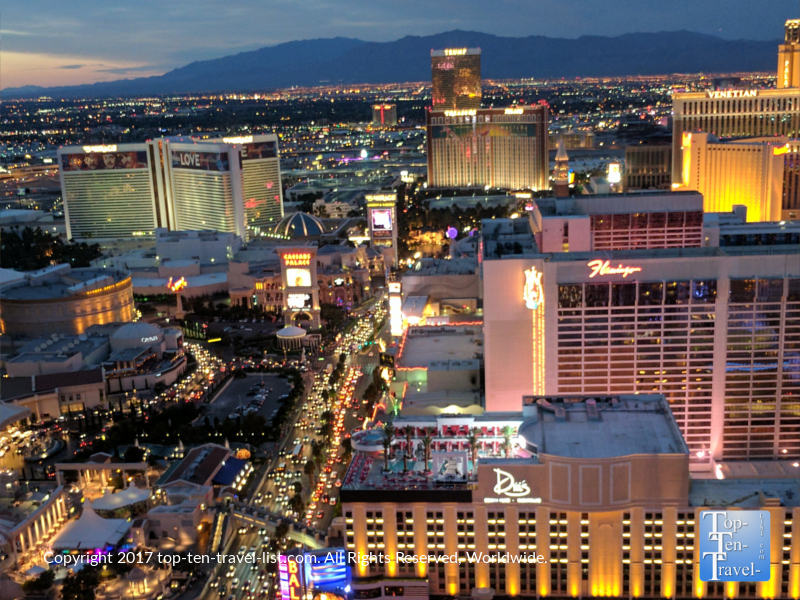 A Vegas vacation requires lots of planning including making reservations for activities like dinners, shows, and spas. And to reassure yourself that you have remembered to pack everything, I recommend Pack This, Pack That notepads. While just a simple notepad, it really comes in handy in terms of remembering everything & anything you could possibly need! 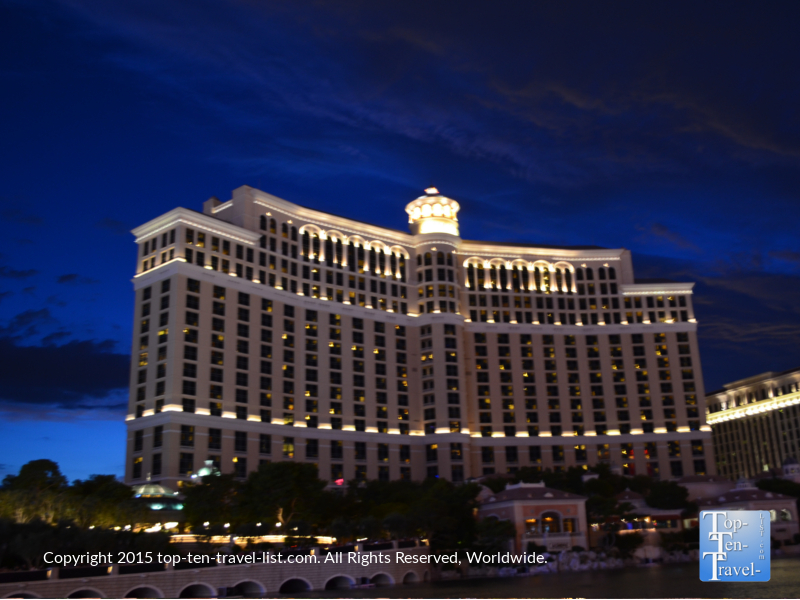 Popular, pricey hotels like the Bellagio offer better rates with advanced booking. Also check the resort’s website for special package deals! As with any vacation, the further in advance you book your transportation and lodging, the more you save. Rates go up as less space becomes available. I recommend checking the airline rate fare calendar and booking your trip around these dates if possible for the best savings. Southwest always has the best deals to Vegas, plus you can check 2 bags for free.